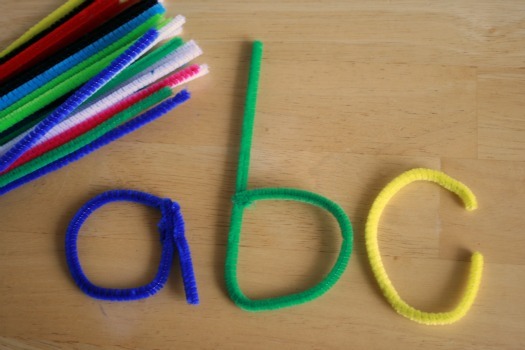 Are your kids tired of the same old spelling practice? 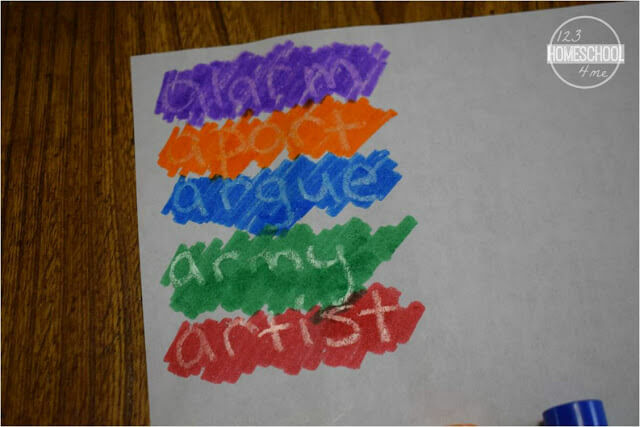 Here is a fun, easy-to-do and colorful spelling practice idea that will make learning spelling words FUN! 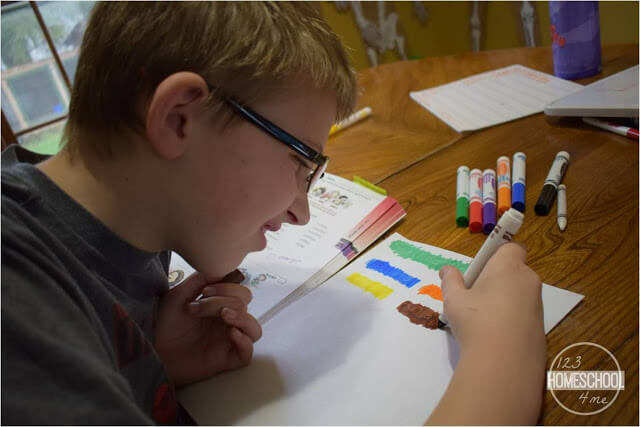 This Colorful Secret Code Spelling Practice is sure to be your kids new favorite educational activity. 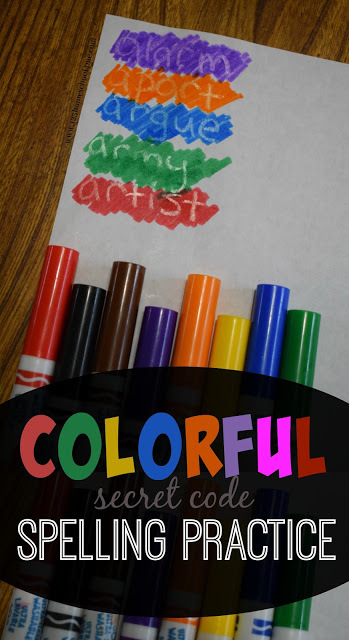 This Colorful Secret Code Spelling Practice is such a fun, simple, and effective way for kids to practice spelling words. They just might be excited about spelling practice! 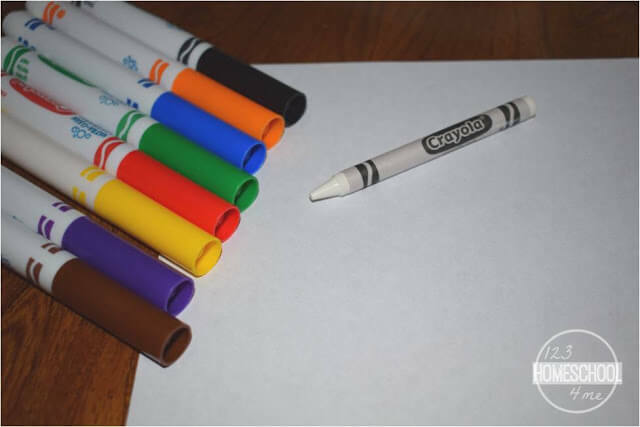 All you need for this fun spelling practice activity is a sheet of blank paper, a white crayon, and washable markers. 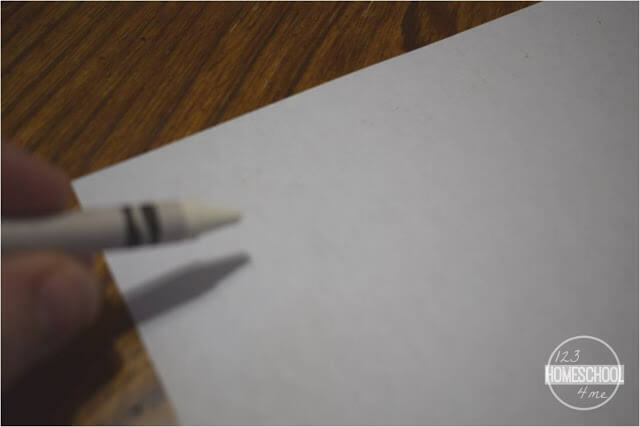 Now color over the top of the white crayon to reveal your spelling word. Cool, right? My kids really got into this fun way to practice their spelling words because they felt like they were spies writing a secret code! NOTE: This would be a fun way to reveal messages or your spelling words for the week if you write them with crayon and your kids have to figure them out!! 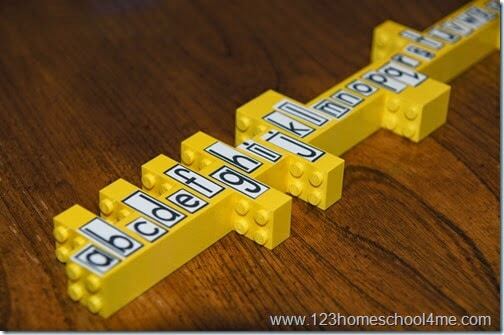 Kids will love practicing spelling using these re-usable Lego bricks! 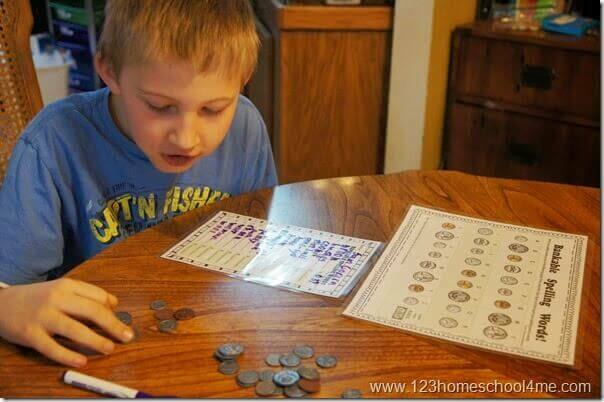 Help kids practice spelling words while counting coins at the same time in this Bankable Spelling Words. 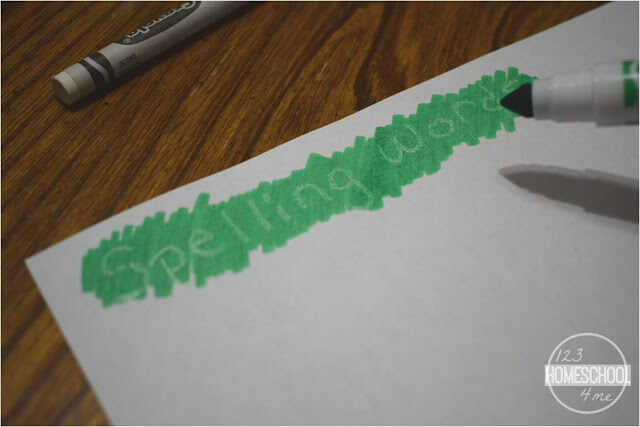 Don’t miss these 25 FUN Hands-on Spelling Tests for kids of all ages with any list. 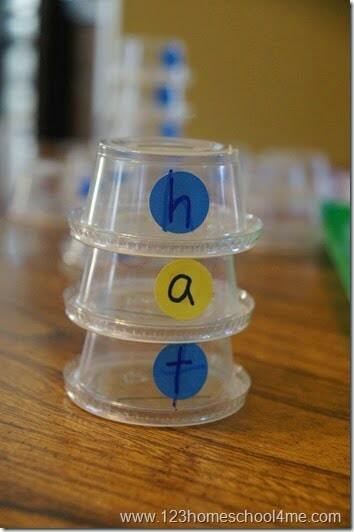 This clever hands on spelling with mini cups is a great way for kids to practice spelling while identifying vowels in words.